There’s a reason that we do this. That old adage ‘sell the sizzle not the sausage’ exists for a reason – as humans we respond to the sensory and it’s these rich, emotive descriptions that will keep us reading a post, encourage us to try a recipe or recommend it to a friend. There can also be a second, more obvious reason for hyperbole: that it’s true. If you read a lot of recipes this might require the casting off of cynicism, but if you trust someone and they tell you that a recipe is the best, then you know you’re onto a winner. This recipe is the best. I hope you trust me. When it comes to chocolate in desserts, nine times out of ten I’ll go for dark. The slightly bitter, rich, strong flavour works wonders in mousses, cakes, tarts and puddings and even stands up to being frozen: I’ve got recipes for both dark chocolate ice cream and dark chocolate sorbet which I thought would be impossible to beat. That’s not to say I don’t like milk chocolate, I just prefer it in the form of bars. It’s creaminess can mean it’s tricky to work with when melted and if combined with butter, sugar, flour and other ingredients, it can somehow lose it’s magic. No such problem here. This ice cream is a bar of milk chocolate in frozen form. It’s silky, thick and creamy, almost velvet with a smooth, mousse-like texture that coats your tongue and glides down your throat. Chewy crumbs of chocolate cookie, caramel-like from muscovado sugar and crunchy with nuts (can’t be bothered to make ice cream? These cookies are heaven on their own) melt into folds of milk chocolate ice cream making every mouthful more delicious than the last. On eating his first mouthful (standing in front of the freezer before dinner, tub in one hand, teaspoon in the other), Carnivorous Fiancé declared it the best ice cream I’d ever made. This is something you may have heard before, in fact it tends to crop up every time I try out a new ice cream flavour (every cook needs a biased supporter on side), so I’d normally take this kind of comment with a pinch of salt. But this time it’s true. All I can say is this chocolate ice cream is amazing. Make it. The recipe below will make more cookies than you need for the ice cream. I’m sure you can find a way to use them up. Preheat the oven to 180 degrees C. Line two baking trays with baking parchment. Melt the chocolate in a medium bowl suspended over a saucepan of simmering water then set aside to cool slightly. Cream together the butter and sugar. Add the vanilla extract and salt to the beaten eggs then add to the butter and sugar mixture a little at a time, beating constantly. Add the melted chocolate and continue to mix until combined. Add the hazelnuts and flour to the chocolate mixture and fold to combine. Place large, heaped tablespoons of the mixture on to the prepared baking parchment – you should get 12 – 14 large cookies. Try to keep the mixture as heaped as possible – they will spread considerably in the oven. Bake for 10-12 minutes, removing from the oven half way through baking time to swap the trays and push any over-spreading edges back in. Remove the still-soft cookies from the oven and set aside to cool. As they cool they will harden a little – once cool enough to lift without breaking, transfer to a wire rack. Melt the chocolate and cream together in a large heatproof bowl suspended over a saucepan of simmering water. Stir until smooth then remove from the heat and place a mesh sieve over the top. In a separate medium bowl, whisk the egg yolks. In a medium saucepan, warm the milk, sugar and salt until the sugar is dissolved. Slowly pour the warm mixture into the egg yolks, whisk to combine then return the whole mixture to the saucepan. Stir the mixture constantly over a medium heat until thickened and smooth (it should coat the back of a spatula). Be careful not to overheat the custard or it will split. Remove from the heat and pour through the sieve onto the chocolate and cream mixture. Place the bowl of chocolate custard in a sink or bowl filled with ice and whisk until cool then chill in the fridge overnight. Churn the ice cream according to the manufacturer’s instructions. While the ice cream is churning, crumble your cookies into tiny pieces and scatter a few in the bottom of the container in which you plan to freeze your ice cream. Layer the just-churned ice cream with crumbled cookie then smooth the top flat and freeze until ready to serve. My! That looks good! I may have to invade your freezer! My ice cream maker is churning away as I type … I have significant ice-cream envy!! what a great post! and i tend to go for ice cream with some texture to it, so yours here looks fabulous! You certainly have convinced me, this looks amazing! Ooh, yummy! You’ve got me really craving ice cream! Oh wow, this does look like the best! Okay – I absolutely have to try this. I haven’t made ice cream in ages – this is definitely next on my list! Generally I am not the biggest fan of chocolate ice-cream but your descriptions are making me salivate. Definitely pinning this one to try. It’s difficult when you come across something that’s superlative – it’s so hard to get it to come across properly. I’m struggling with it in my post for tonight. What a delicious sounding ice cream, and extra cookies to serve it with. I found this method of making ice cream without a machine just before Christmas and it worked very well for me so I will try it again with your recipe. Hopefully others will find it useful. Mydish is a wonderful resource that a friend told me about. 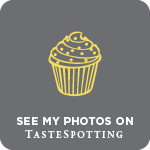 I am new to your Little Loaf site, also recommended to me, and very much enjoying it. I am making a list of things to try! I too usually go for dark chocolate but discovered last year that milk chocolate is great for ice cream. I didn’t add cookies though so may need to try this! This looks yummy. I’ve made ice cream a few times now but I haven’t gotten past the vanilla stage yet. I think your recipe has definitely inspired me. Great recipe! Seems Nige likes it too! Can’t wait to get my maker back. 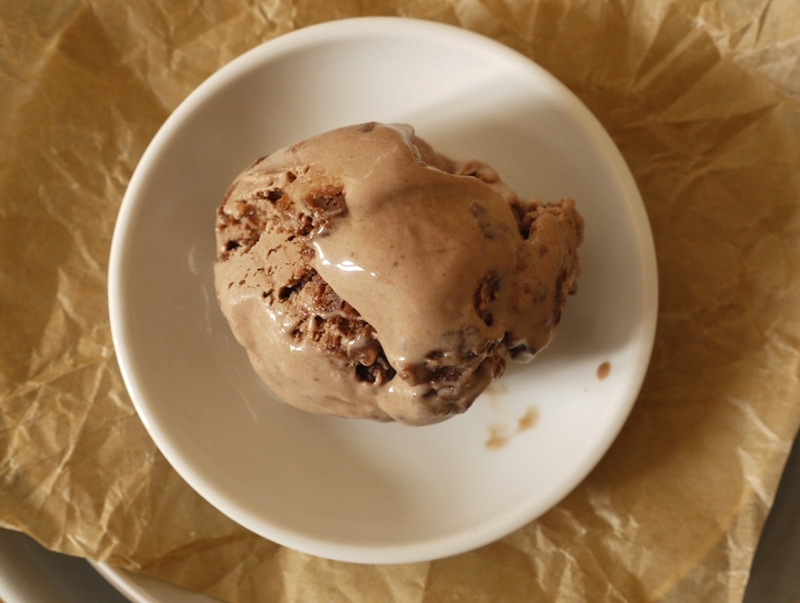 A tweet from Nigel Slater in praise of your ice cream – brilliant! That looks delish….i’m cold and still want it, it looks that good! When we live in a masssssive house, an ice cream maker will be first on my list of ‘new purchases’ (infact I wonder if it could be added to our wedding list? Light bulb moment!!). And a tweet from Nige? Ace stuff! Haha, thing is, when you say this is the best ice cream you’ve made all year/ever mad, I KNOW it’s some of the best out there because you make consistently make some of the best ice cream on the internet. What makes this one so good? Is it the creamy milk chocolate with the chewyness of the cookies? 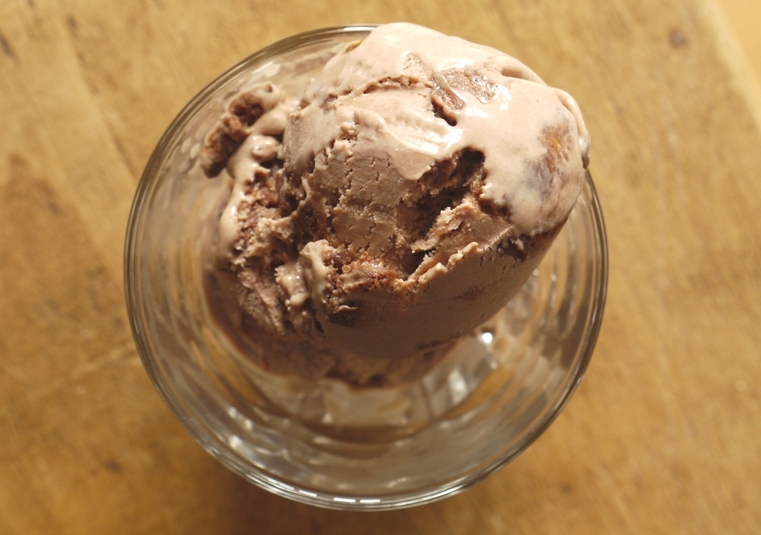 I have been looking for a good milk chocolate ice cream base (to infuse baileys with), and this one looks great. But now I’m wondering if I could skip the cookie part… that sounds too good! OMG I was starving before I read you post….now I’m delirious!! I do believe you and I am now dying to try this out. It must feel great to have discovered something as good as this and even better when Nigel Slater comments on it too! What a lovely post. Bloggers do tend to exaggerate but I think it’s done with the best intentions really 🙂 Fab tweet from Mr Slater himself too! Out of interest which ice cream maker do you use? It’s a Cuisinart Duo. It’s quite good but if I bought another one I’d probably get a larger, single unit container. Oh nice! Don’t have the space for a machine unfortunatly as my freezer is the height of an orange but one day I will splash out on one! I trust you, I trust you! You are so right about the superlatives. I try to edit myself on that as much as possible. But sometimes there’s no way around it. Sometimes, it’s simply the best. I can take of leave milk chocolate, but it certainly has its place, and I often stop at the milk chocolate ice cream page in The Perfect Scoop. I always say “next time.” But I think the time is now, especially with those deliciously dark cookie mix-ins! Love it, definitely will try it, since it does not need for ice cream maker cause i don’t have one. Thanks for sharing. Wow! Another gorgeous ice cream and I love the Nigel and David combo! Quick question! Do the cookie bits in the ice cream soften over time? Ha ha! Maybe you don’t know if it all got eaten in 24 hours! So I made this milk chocolate ice cream base over the weekend. We had amassed some chocolate-oatmeal chewy bars and we crumbled those into the ice cream instead of Nigel’s chocolate cookies. It was great! Although I was kind of rushed in making it– so although it was amazing, the base alone with our cookie add-didn’t make for the best ice cream ever.. 🙂 I want to make this again, properly, with both components here someday soon. Thanks for the recipe! 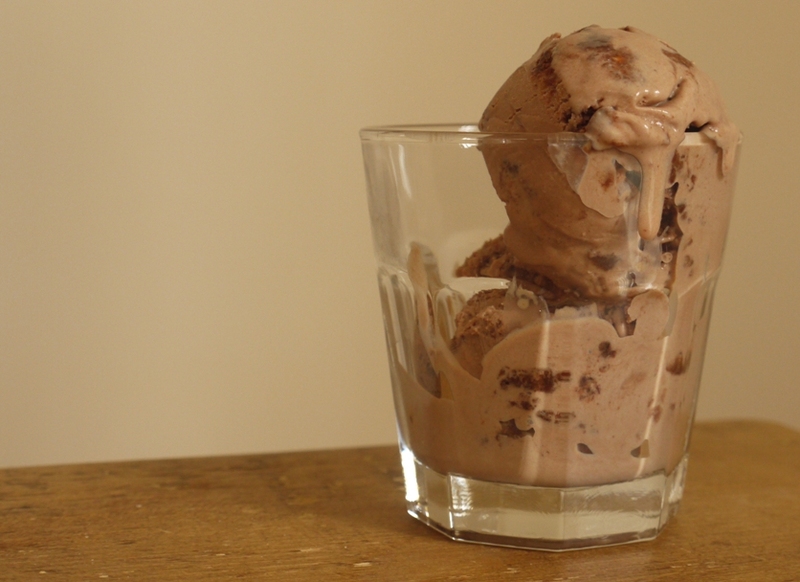 I don´t think I ever made milk chocolate ice cream, because I always go for dark too. But I´ll take your word for it and make this Kate. It looks fantastic and some cookies inside make it better! I like the `sell the sizzle not the sausage´, never heard it before. 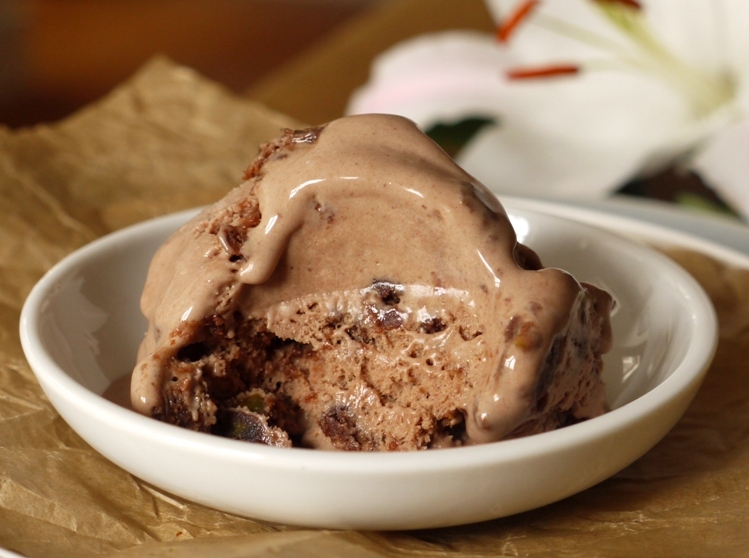 I love the idea of the smooth and creamy milk chocolate ice cream with the chunks of cookie running through it. I’m a sucker for proper milk chocolate too so this sounds right up my street. 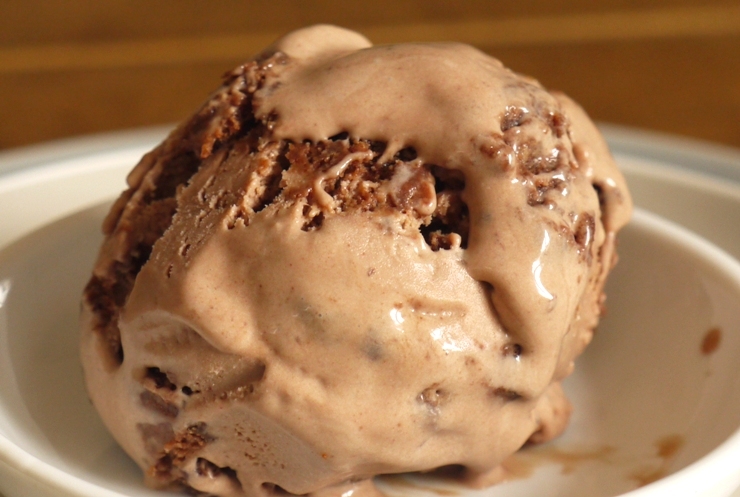 When it comes to chocolate or ice cream there’s no such thing as exaggeration. I made this for my grandchildren at the weekend. Everyone loved it and had three large scoops each, and we had the other biscuits the next day. My four year old grandson said it was “awesome” and “the best ever”. I used the tip from Jeannie and it worked a treat. I am now planning to test it with more of your delicious sounding ice creams. Many thanks. What a lovely comment to receive! So pleased you liked the ice cream and your grandson clearly has impeccable taste 🙂 If you’re looking at other recipes, I highly recommend the honeyed pistachio one and the salted caramel rolos!